This entry was posted on November 23, 2015 by Tinteán Editorial Team/EMcK, in art, Celtic art, Exhibition Review, News, pilgrims, Popular Culture, What's On... and tagged calligraphy, Celtic art, children' art books, history, illustrated books, journeys, pilgrims. Bookmark the permalink. Where: Garratt Publishing 32 Glenvale Crescent Mulgrave, 3170. Click for Map. 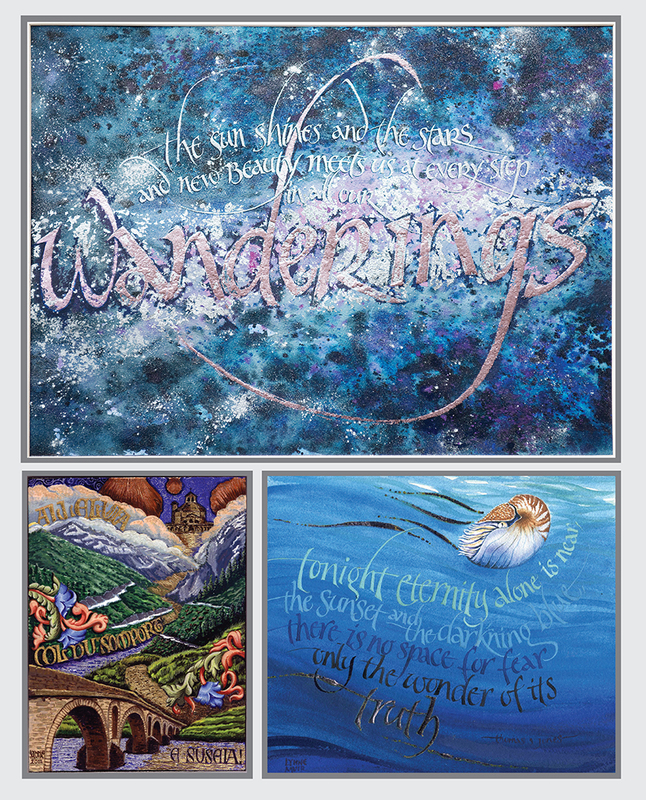 ‘Wanderings’ explores the themes of walking for the soul; as a pilgrim, as a lover of wilderness and as a representation of our journey through life. Perhaps, as we are made of stardust, we wander as do the planets, following our natural yearning to find peace and satisfaction. Original art on paper, wood and canvas, calligraphy, fine art prints, books and cards will be on display and sale. Lynne’s work may be known to you from her associations with the Calligraphy Society of Victoria, award-winning childrens’ art books from Greater Glider, or illustrated books on the saints from Garratt Publishing.